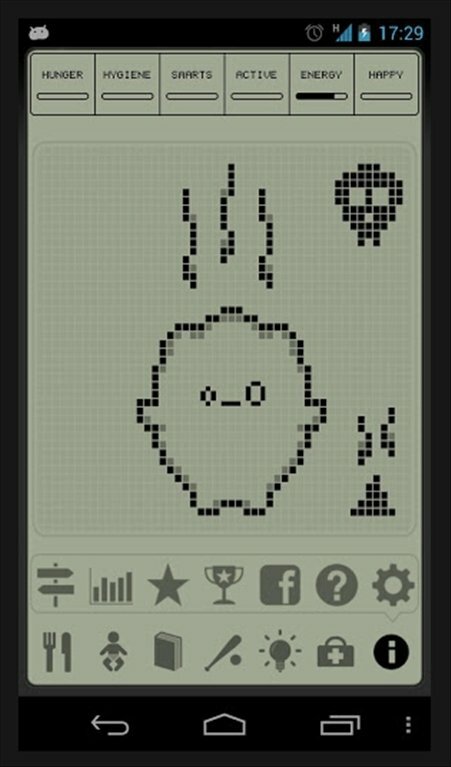 Bring back your nostalgic memories of taking care of those virtual pets that were once so successful thanks to Hatchi for Android, an application that makes us responsible for a very retro looking creature that we must love and care for. Say goodbye to productivity. Say hello to a new friend! 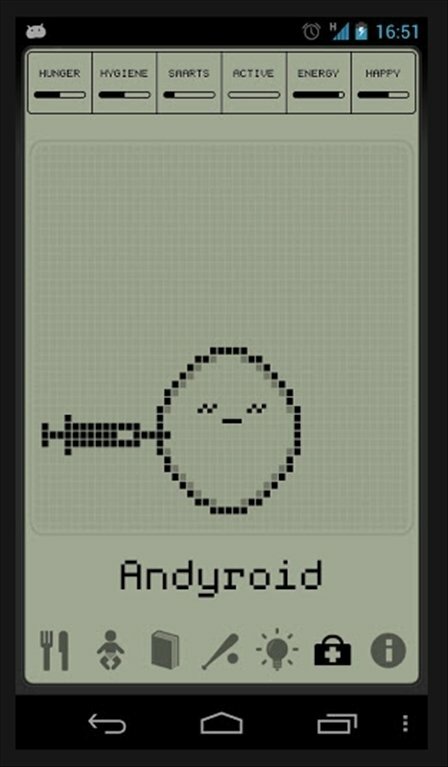 Digital pets that used to hang from your keychain a couple of decades ago now return to Android devices. 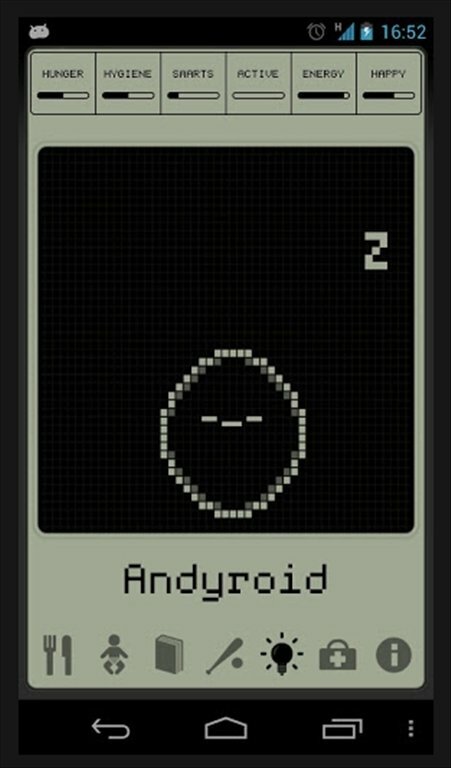 Install Hatchi, a sort of Tamagotchi for Android, on your mobile or tablet! Take care of your Hatchi by feeding him, cleaning him and playing with him, so he grows to be happy and independent. Watch your pet go through different growth stages. Your Hatchi will evolve in one way or another depending on how you treat it. 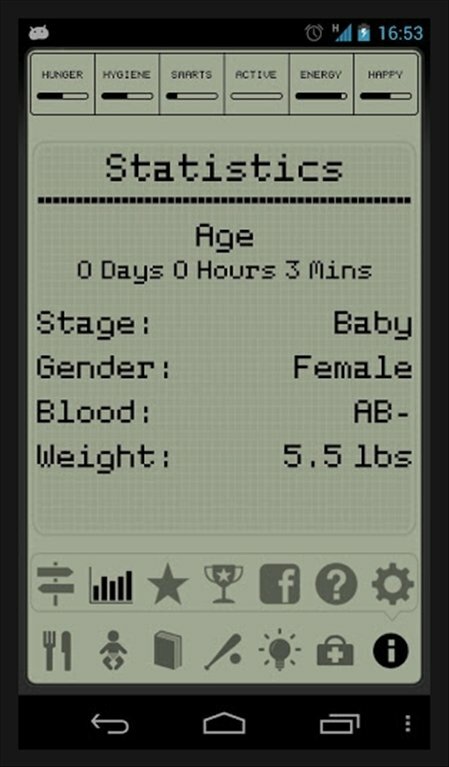 Download Hatchi for Android and give him all your attention so as to provide him with a full and satisfying life that you can brag about to your friends.